Penguin Books. PAPERBACK. 0143123939 Item in good condition. Textbooks may not include supplemental items i.e. CDs, access codes etc... . Good. 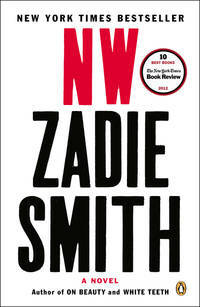 One of the New York Times Book Review 's 10 Best Books of 2012 Set in northwest London, Zadie Smith’s brilliant tragicomic novel follows four localsLeah, Natalie, Felix, and Nathanas they try to make adult lives outside of Caldwell, the council estate of their childhood. In private houses and public parks, at work and at play, these Londoners inhabit a complicated place, as beautiful as it is brutal, where the thoroughfares hide the back alleys and taking the high road can sometimes lead you to a dead end. Depicting the modern urban zonefamiliar to city-dwellers everywhere NW is a quietly devastating novel of encounters, mercurial and vital, like the city itself.